Elchana I. Dulitz has over 25 years of experience in many phases of commercial litigation and commercial real estate. For 14 years he was employed as general counsel for a mid-sized commercial real estate company with over 300 tenants and investments in New Jersey, Florida, Virginia, U.S. Virgin Islands, as well as foreign investments in Spain and Brazil. He was involved with all aspects of real estate, including the purchase of land, construction financing, permanent financing, contracting with engineers, architects and all subcontractors as well as leasing out the final product. 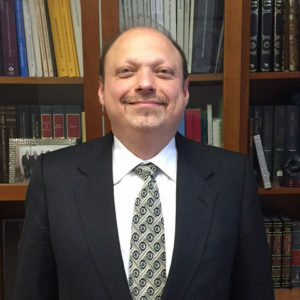 At Rubin & Dombeck, Elchanan represents the firm’s clients in landlord tenant matters, tax appeals, collections, foreclosures and civil litigation.